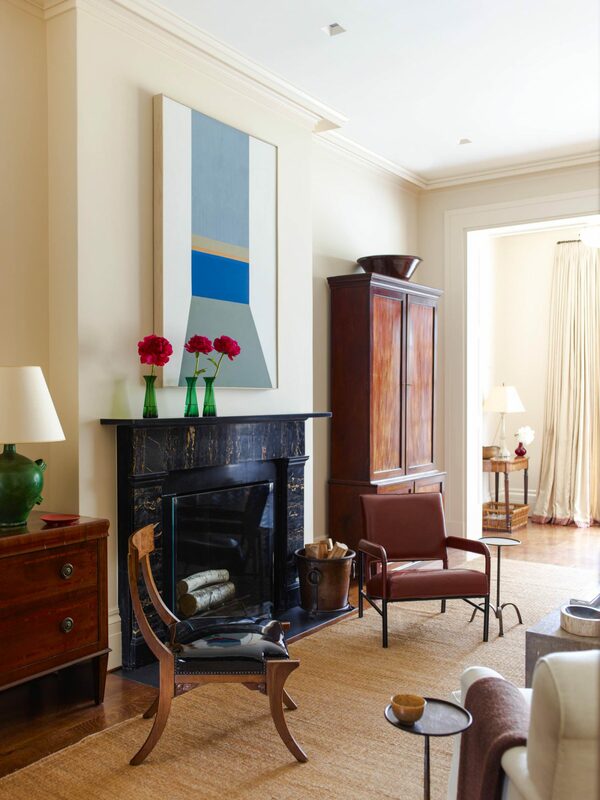 We decorated this elegant, three-story Greek Revival townhouse located in Greenwich village for a young, newly married couple that wanted to transform the space from bachelor pad to a warm, sophisticated family home. 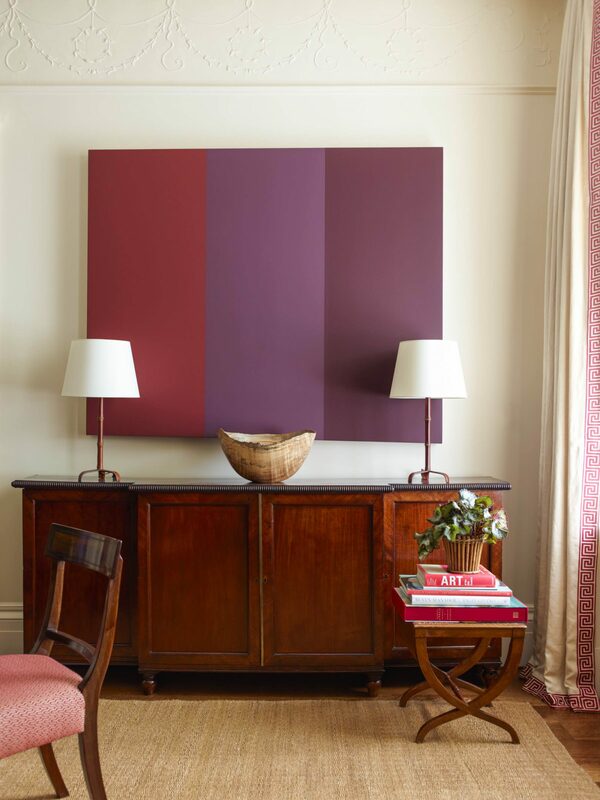 We helped our clients merge their favorite pieces, balancing their contemporary art collection with antiques and a light palette to bridge the gap between old and new. It was important to honor the historic era of the townhouse, which dates back to the 1840s, while making it comfortable for modern day living. 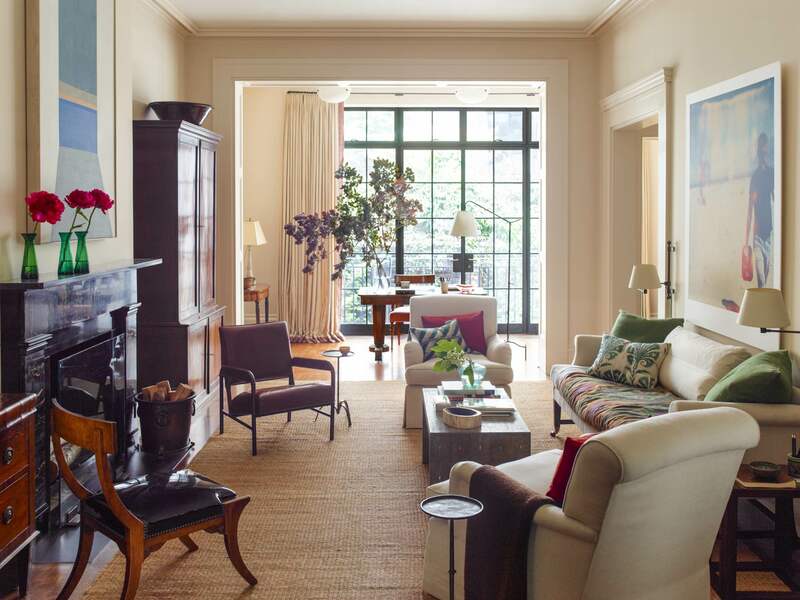 A floor-to-ceiling steel-paned window on the parlor floor serves as both a solarium and home office, and floods the adjacent living room with light year-round. The kitchen, which is on the first floor as is typical in an 1800s building, was designed to take advantage of the generous outdoor space for a sense of indoor-outdoor living even during Manhattan’s coldest months.